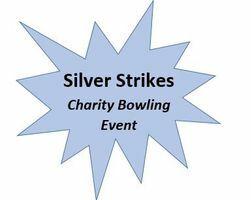 Silver Strikes, a Charity Bowling Event, will be held Wednesday, Jan. 16, from 6-9 p.m. at Southbound Alley in Salisbury. Proceeds will benefit MAC’s Senior Emergency Fund. Teams are forming now! The entry fee is $20 per person (includes shoes and 2-game maximum); teams must be 4-5 members. Prizes will be awarded. The deadline to register is Jan. 14. Call 410-742-0505, Ext. 166. For more information, visit the MAC website at macinc.org.